TrinTec round keychains are molded out of ABS and come complete with a scratch resistant lens. Made in Canada. 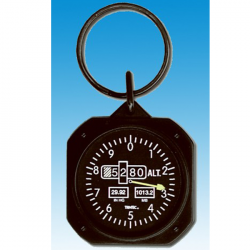 TrinTec square Airspeed Indicator keychain. Each of our aviation keychains are made to simulate as closely as possible a primary flight instrument. Each keychain features the actual shape of an aircraft instrument and a dial which closely represents that of a the particular flight instrument. Trintec keychains are molded out of ABS and come complete with a scratch resistant lens. 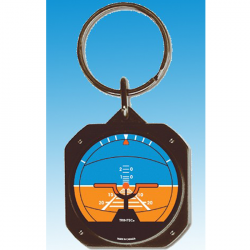 Each of Trintec aviation keychains are made to simulate as closely as possible a primary flight instrument. Each keychain features the actual shape of an aircraft instrument and a dial which closely represents that of a the particular flight instrument. OuTrintecr keychains are molded out of ABS and come complete with a scratch resistant lens. 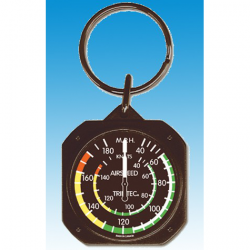 Each of TrinTec aviation keychains are made to simulate as closely as possible a primary flight instrument. 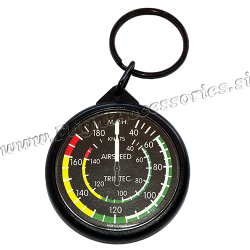 Each keychain features the actual shape of an aircraft instrument and a dial which closely represents that of a the particular flight instrument. TrinTec keychains are molded out of ABS and come complete with a scratch resistant lens.